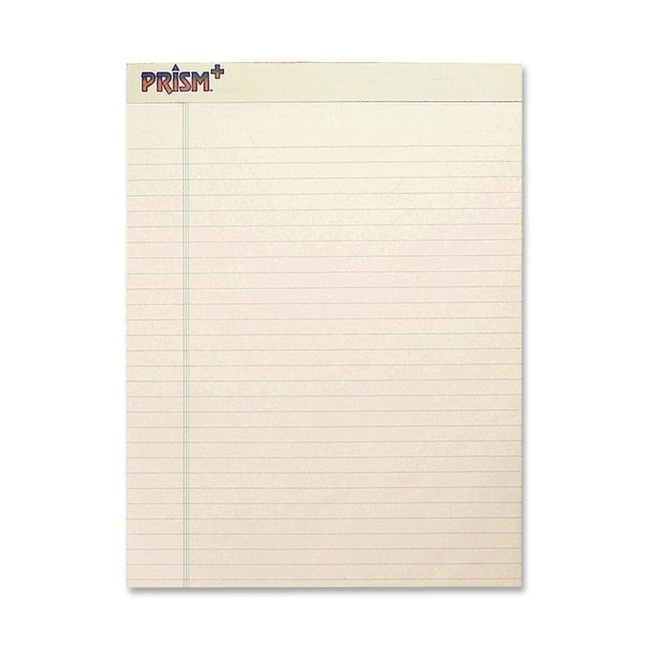 Tops Prism Plus Colored Paper Pad - 8.50" x 11.75"
Prism Plus Pads offer soft-colored papers and matching bindings. Rigid 60 point chipboard back acts like a clipboard, providing excellent writing stability. Easy-tear, Letr-Trim perforations allow sheets to be removed easily. 50 sheets per pad. $45Tops Prism Plus Colored Paper Pad - Legal 8.50" x 14"
$32Tops Prism Plus Colored Paper Pad - 8.50" x 11.75"
$30Tops Docket Gold Prism Plus Colored Paper Pad - Jr.Legal 5" x 8"
$21Tops Prism Plus Colored Paper Pad - Jr.Legal 5" x 8"
$18Tops Prism Plus Colored Paper Pad - 3" x 5"
$34Tops Prism Plus Colored Paper Pad - 8.50" x 11.75"
$39Tops Prism Plus Colored Paper Pad - 8.50" x 11.75"
$23Tops Prism Plus Colored Paper Pad - Jr.Legal 5" x 8"
$30Tops Docket Prism Plus Colored Paper Pad - Jr.Legal 5" x 8"